Tax paid for French Polynesia. Race sailboat lightweight and livable, ideal for beginners and solo sailing. Refit in 2013. YANKEE 30 sailing yacht, made of fiberglass, built by YANKEE yard in 1972, in USA, according to Sparkman and Stephens design. The boat was imported from the United States in 2006. The current owner has owned her since June 2014. Light boat, famous for regattas in the USA. Ideal for beginners, easy maintenance. Comfortable boat, with lots of storage. 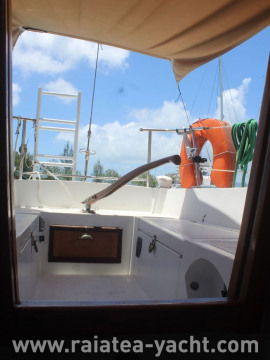 The boat's inventories are based on the indications given by the owners and even if we do our best to see that they are in accordance with the reality, there might be some differences. 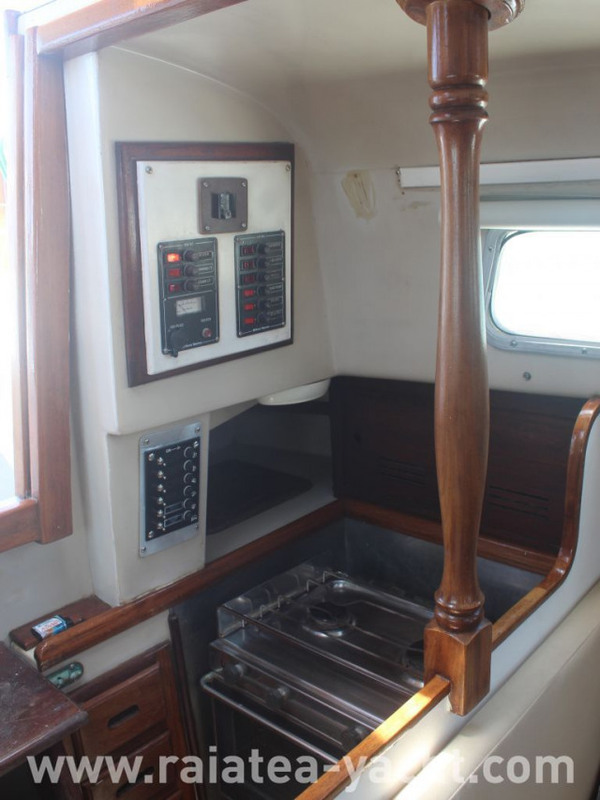 The boat's and equipment's condition has to be checked jointly by the buyer and seller before the sale. The respective responsibilities of both the seller and the buyer remain intact. 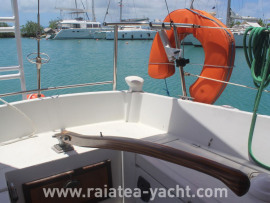 In no case can Raiatea-yacht be held responsible for any defect on the boat.